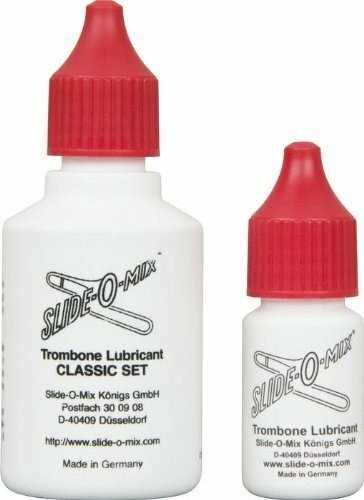 The Slide-O-Max Trombone Lubrication System is used by professional trombone artists worldwide. This long-lasting trombone maintenance formula needs only a minimum application to give your slide maximum speed and action. Apply directly from the bottle to your trombone. No mess, no oily hands, just smooth sliding.